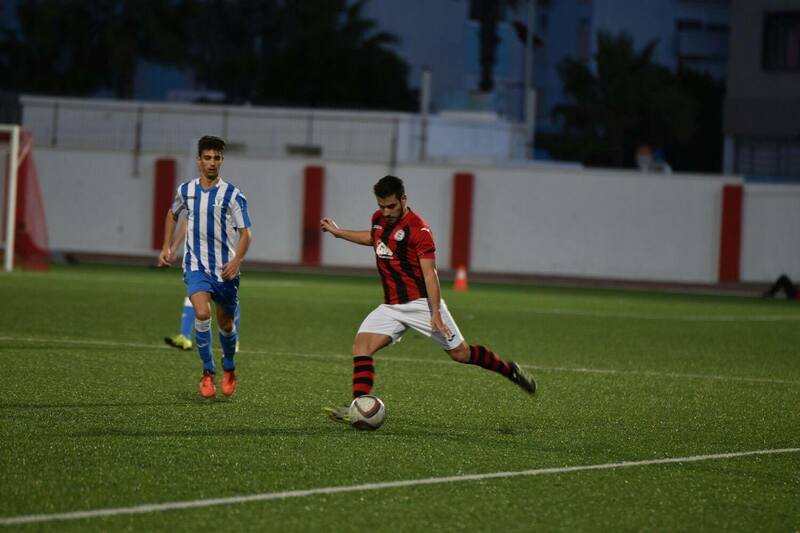 St Joseph’s striker Diego Merchan grabbed two goals to help seal a 3-0 win over Glacis Utd, sending them to third place in the Premier Division table. 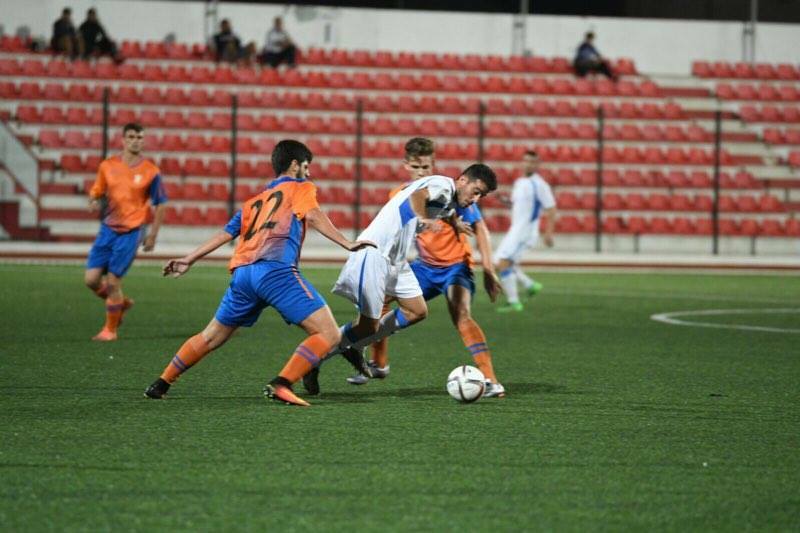 The first half started with St Joseph’s dominating possession but unable to break down a stubborn Glacis defence. Jamie Carlin was called into action early on making a great low save to keep out Javier Lopez’s shot. Few minutes later Diego Merchan had a great chance to give his side the lead but the striker opted to square the ball to Emerson Roque whose weak shot was cleared. 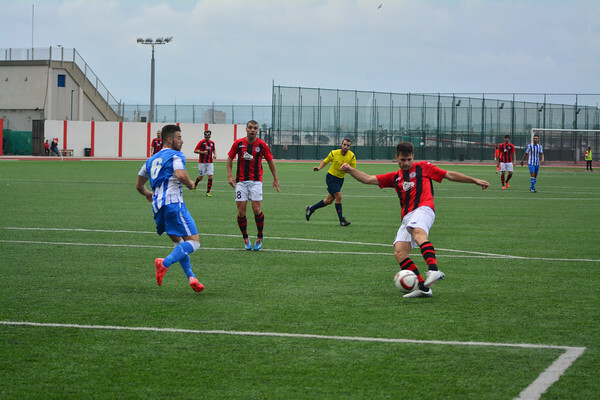 Lincoln Red Imps remain top of the league after goals from Roy Chipolina & Kyle Casciaro secured a 2-0 victory over St Joseph’s. The first half started with Lincoln on the attack and bringing out a number of saves from St Joseph’s keeper Jordan Perez. Lincoln had a great chance early on as Liam Walker played Lee Casciaro through on goal but the striker’s shot was excellently saved by Perez. Lincoln broke the deadlock fifteen minutes in, Liam Walker delivered a corner which found Anthony Bardon on the edge of the area, the midfield picked out Roy Chipolina at the far post, the captain controlled and slotted his shot into the top corner. St Joseph’s players and fans were unhappy with the decision as they felt Roy Chipolina was offside but the goal stood. Minutes later St Joseph’s had a great chance to equalise, Jose Luis Verdejo through ball sent Jorge Torres through on goal, the winger struck his effort wide. Three minutes later Lincoln made it 2-0, Daniel Cifuentes’ cross found Kyle Casciaro at the back post, the striker controlled and slotted his shot away. St Joseph’s came battling back, Juan Carlos Polo’s free-kick found Jamie Contreras’ in the middle, the defenders shot was saved by Raul Navas and the rebound cleared off the line by Cifuentes. Just before half-time horror struck, Joseph Chipolina received a head injury and was knocked unconscious, thanks to some quick thinking of Jordan Perez and medical attention from Keith Ramirez, the full-back regained conscious and was able to walk off the pitch. The second half started with Lincoln making a substitution, Joseph Chipolina was replaced by Yeray Blasco. Blasco got involved straight away, the midfielder latched onto a through ball and shot but his effort went wide. As the game went on the St Joseph’s fans started getting more frustrated with the refereeing decisions and they had a case as it wasn’t the great game from referee Glen Gilbert. With less than five minutes remaining St Joseph’s went down to 10 men as Ivan Lobato was sent off for a second bookable offence. Just before full-time Saints stand-out player Juan Carlos Polo played the ball to Borja Gomez Torres, the striker’s shot was saved by Navas. Lincoln were able to see out the four minutes of added time and walked away with a vital three points. This win sees Lincoln move top and play Angels next while St Joseph’s remain sixth and face Gibraltar United. 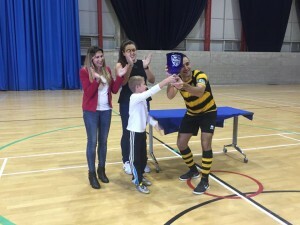 Lynx win the Luisito Bonavia Cup, beating St Joseph’s Spark Energy 8-2. The first half started with Lynx dominating and opening the lead early on with captain Sanchez getting the goal. Lynx doubled their lead minutes later, Heredia Vargas with the goal. 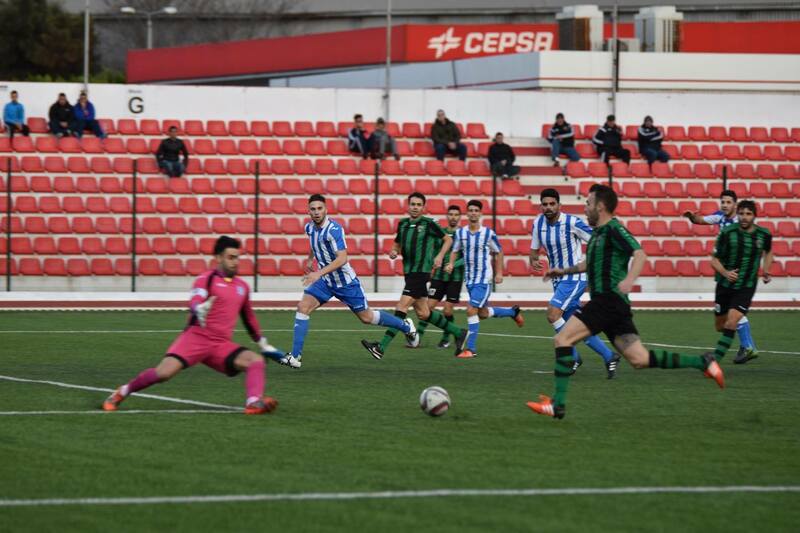 St Joseph’s went on the attack straight away, Romero Gomez making a great save to keep out Figueras’ shot. Minutes later St Joseph’s had another great chance but Chipol’s shot was saved by Romero Gomez. 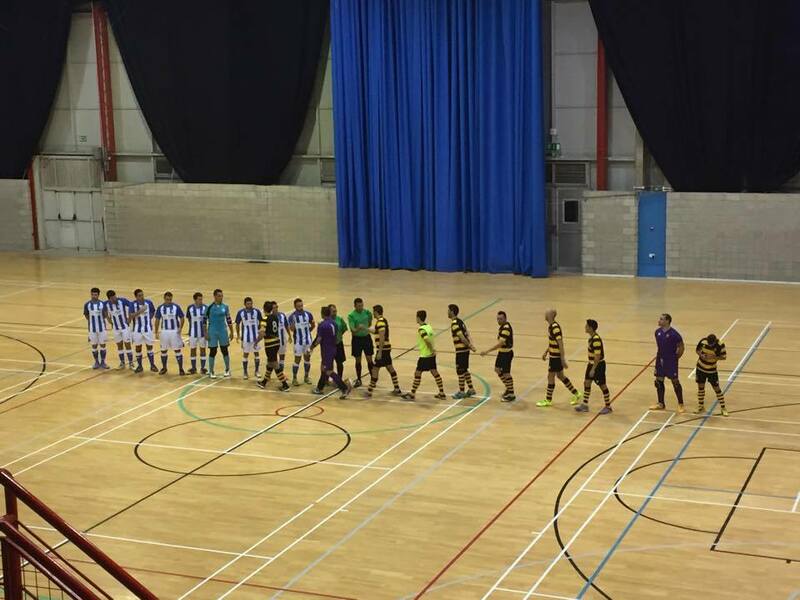 Lynx had midfielder Ian Rodriguez sent off minutes later for a second bookable offence after getting into a war of words with referee Michael Macias. St Joseph’s pulled on back, Tyson Ruiz did well to skip past two defenders and square the ball to Jamie Walker to strike past Romero Gomez. Lynx went into the break with a 2-1 lead. The second half started with Lynx attacking and made it 3-1, Duarte with the goal. Seconds later it was 4-1, Bernal Cabeza with a tidy finish past Moxham. St Joseph’s pulled one back, debutant Francis Marquez with the goal. With ten minutes remaining the goals start flying in, Duarte bagged his brace making it 5-2 for Lynx. Shortly after Bernal Cabeza made it 6-2. With a few minutes remaining Lynx were able to get two more goals, Martin Martin & Duarte getting the goals. 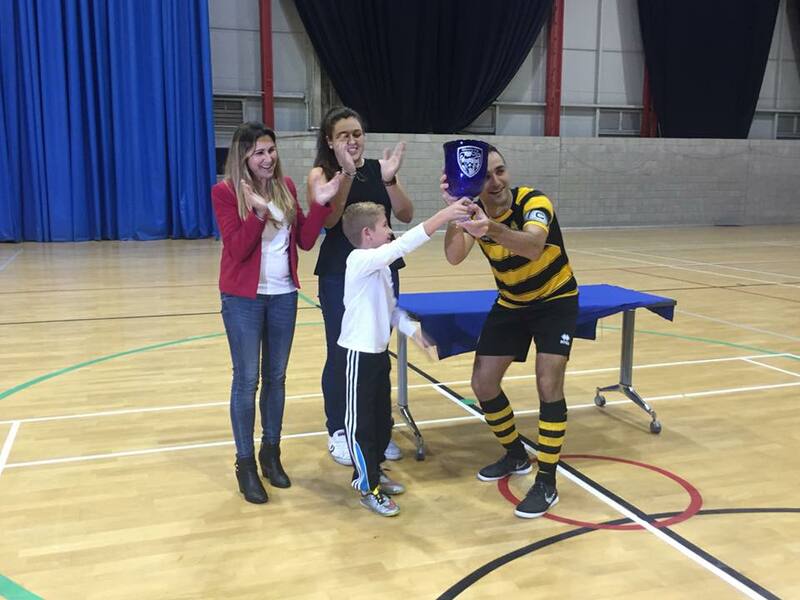 The game restarted and Lynx were crowned champions of the Futsal Super Cup. 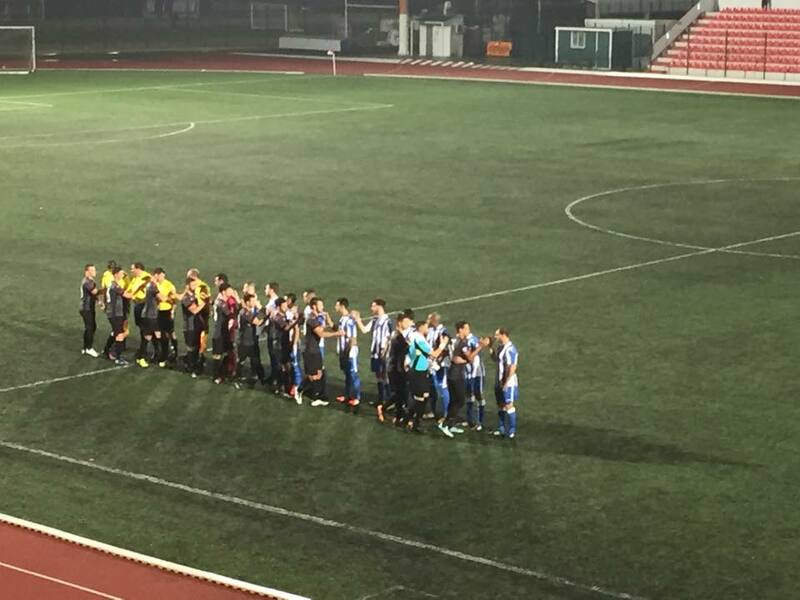 Two goals in seven minutes sent Europa top of the Premier Division as they defeated St Joseph’s 2-0 to keep their 100 per cent record going. The first half started with both teams battling for possession but neither able to take any control on the game. First chance of the game went Europa’s way as Joselinho’s header was saved by Jordan Perez. Shortly after Saints midfielder Emerson Roque saw his long range shot go just wide. The best chance of the half fell to St Joseph’s, a cross was whipped in and found Thyago Catharino, the winger’s shot went inches past the post. As the game grew on Europa started to dominate but were unable to find a way past Jordan Perez. 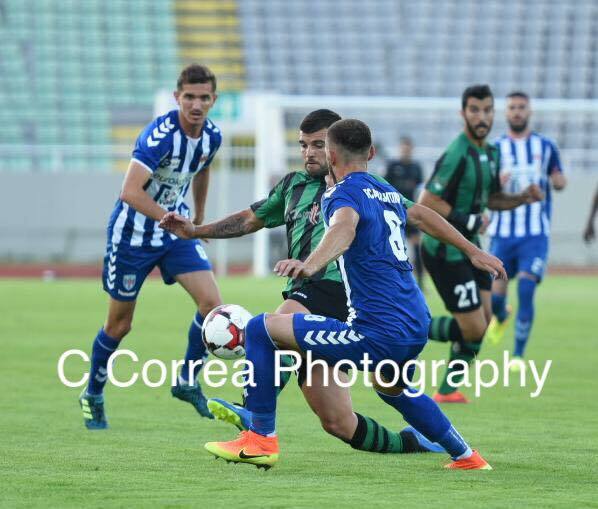 The second half started with Europa on the attack, Saints keeper Jordan Perez was called into action early on as he kept out a Pedro Carrion header. Perez was finally beaten four minutes later, Europa winger Javi Martinez whipped in a cross, Carrion out-jumped Esteban Montes and guided his header past the keeper to give Europa a 1-0 lead. 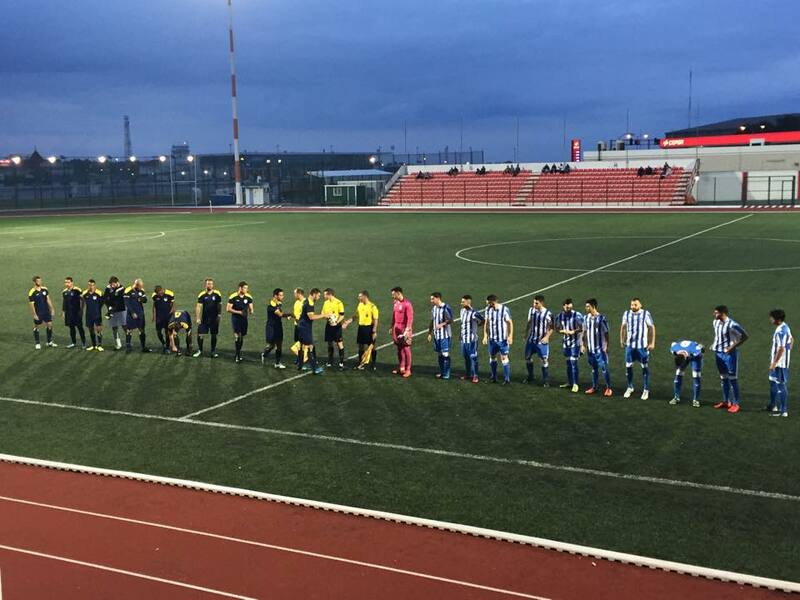 Seven minutes later Europa made it 2-0, Antonio Trujillo latched onto a through ball, the striker drifted past Jorge Corpas and slotted his shot past Jordan Perez. Ten minutes later St Joseph’s thought they had pulled one back when Borja Torres smashed his effort past Javi Munoz but the goal was disallowed for offside. With less than ten minutes remaining Europa continued to dominate the game and nearly made it 3-0 but Jordan Perez made a terrific save to keep out Pedro Carrion’s shot. Perez was called into action minutes later as he made a low save to keep out Manuel Picon’s header. 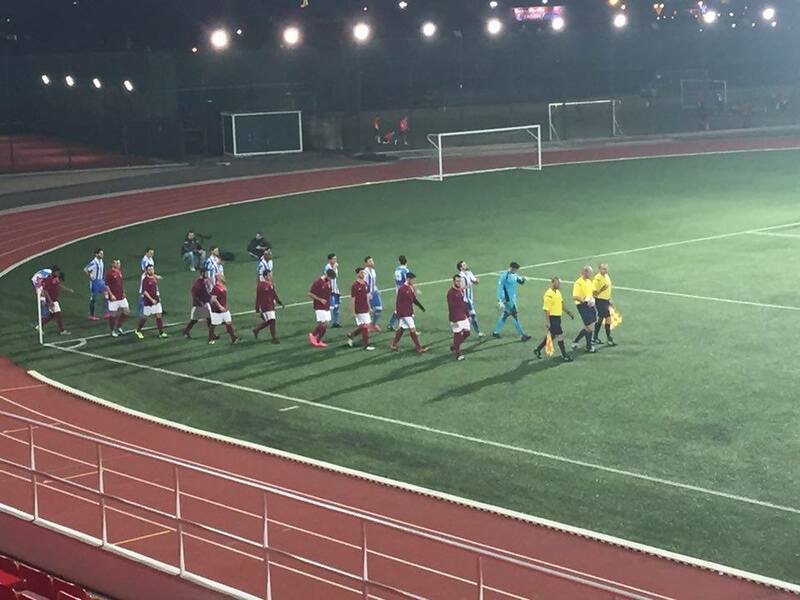 The game restarted and referee Glen Gilbert blew for full-time, Europa walked away with the three points. This win sees Europa move top of the league while St Joseph’s remain third. 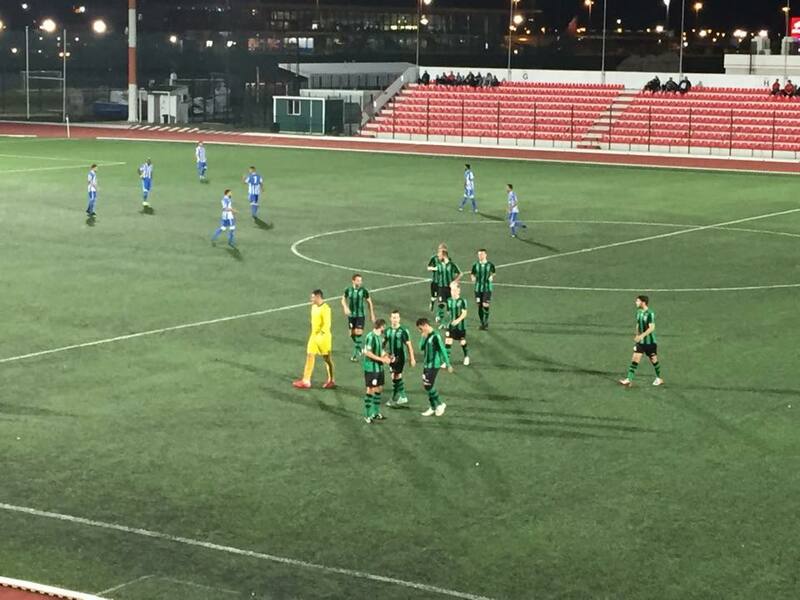 A second-minute goal from Jorge Corpas Torres saw St Joseph’s beat Manchester 62 1-0 tonight. After Lincoln’s 7-0 win last night, Saints would have wanted to keep up their momentum with another three points, and Corpas’ goal earned them all three points. 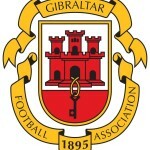 Manchester went in the game also with four points from two games, but an uncharacteristic mistake from Gibraltar international Brian Perez saw Corpas take advantage and finish past Droubi. Both teams had a host of chances to add to the sole goal at the Victoria, most notably when Manchester’s Aaron Payas hit the bar with a long range effort. Despite the chances enjoyed by both teams though, and a red card for Saints player Emerson, St Joseph’s left the Victoria with all three points. Saints move up to second in the league, behind Lincoln on goal difference, and face Britannia next weekend. For Manchester, they find themselves seventh, albeit level on points with Britannia in third. They will look to bounce back a week tomorrow against Angels, who lost 3-0 to Lions in the day’s early game.